This pretty and spacious holiday home is located in a small fishing place Marina on the beautiful Riviera of Trogir. 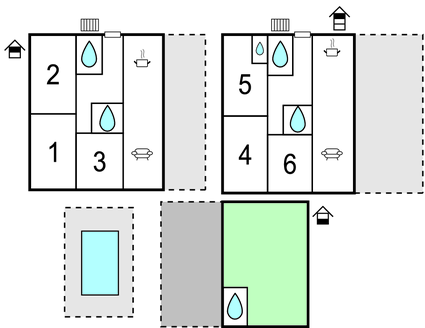 The house consists of two accommodation units, connected by external stairs. Located in a small fishing village, this large 6 bedroom holiday villa is stylishly furnished, offering all the comforts of home and more! With 2 open plan living dining room and kitchens, which makes this an ideal villa for 2 families or large groups. There is an excellent games room that should keep everyone entertained and for that Al fresco dining experience there is a barbecue.To match the interior of the house there are fabulous panoramic views of the Trogir Riviera and the beach from the swimming pool terrace.Please note that the house consists of two accommodation units, connected by external stairs. Nearby you will find a nice pebble beach and few bars and restaurants. This beautiful modern villa is made from brick or stone and was recently built in 2013. The agent has rated it as a four star property so it is a well-equipped villa with above average furnishings. It is also great value for money. 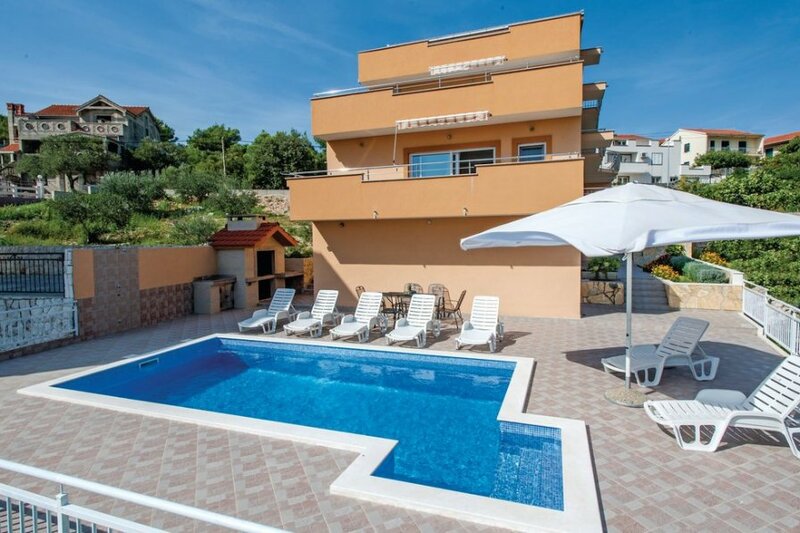 This villa has a swimming pool and beautiful panoramic view over water; it is also located in Marina, only 12km from Trogir. It is set in a very convenient location, just 70 metres away from a stone and pebble beach. There's also a restaurant only 30 metres away. The villa has free wireless internet. You can also park on-site at no extra charge. The villa is well equipped: it has a refrigerator, microwave, washing machine, dishwasher and extra dishwasher. The property has a sauna; it also has a barbecue and some garden furniture outside.